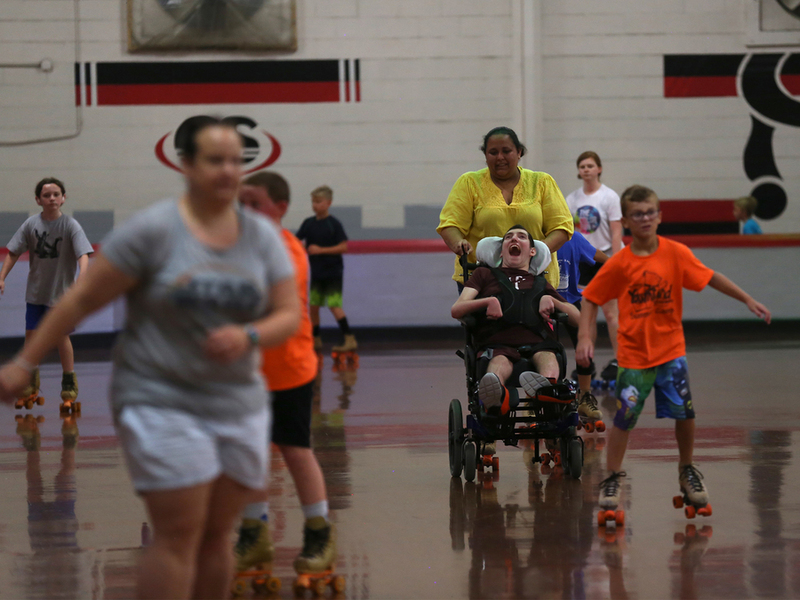 LOVELAND, Ohio -- Ethan Kadish glided into Castle Skateland on a sweltering Wednesday wearing a T-shirt, shorts and the disinterested look of a typical 17-year-old checking out the place. But an afternoon of roller-skating is anything but typical for Ethan. He hasn’t been able to walk, talk or eat solid food since a lightning strike five years ago stopped his heart and robbed his brain of oxygen. 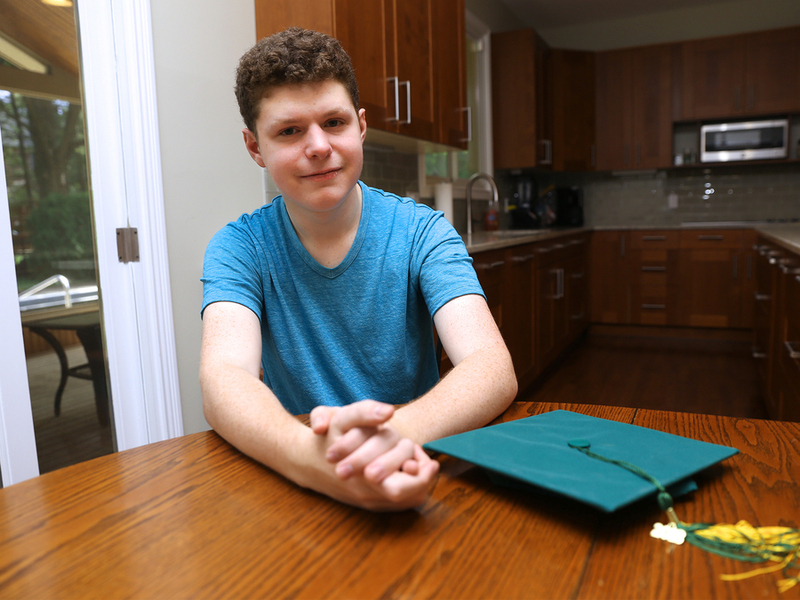 At a time when his childhood friends are celebrating high school graduation, packing for college and dreaming big, Ethan is limited to what he can experience from his wheelchair with the help of his family and the nurses who help care for him around the clock. That’s the way it’s supposed to happen. But almost nothing has happened the way it’s supposed to for Ethan. 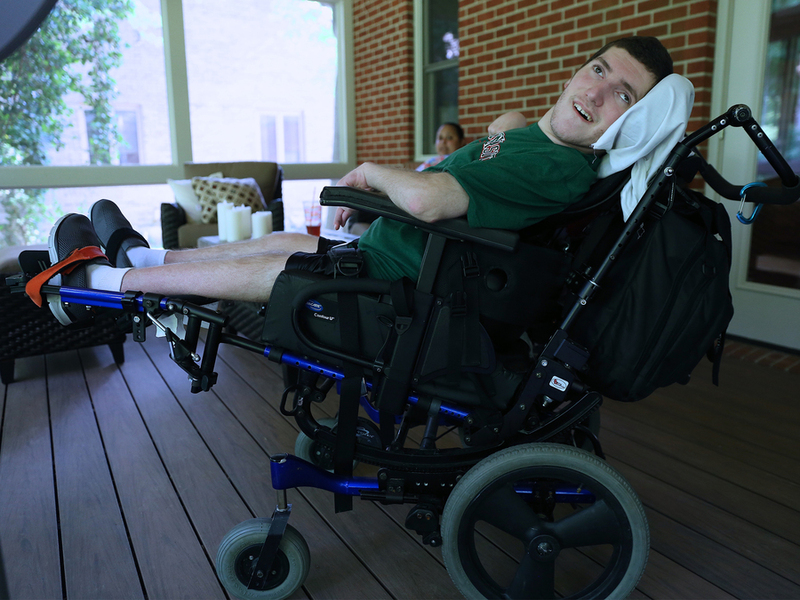 He was one of three kids at Goldman Union Camp Institute in Indiana hurt by a lightning strike on June 29, 2013. The other two made complete recoveries. He spent 145 days in the hospital before he went home. Ethan was there for just a few days before he had to go back to Cincinnati Children’s Hospital Medical Center . In all, Ethan has been hospitalized more than 380 days over the past five years. 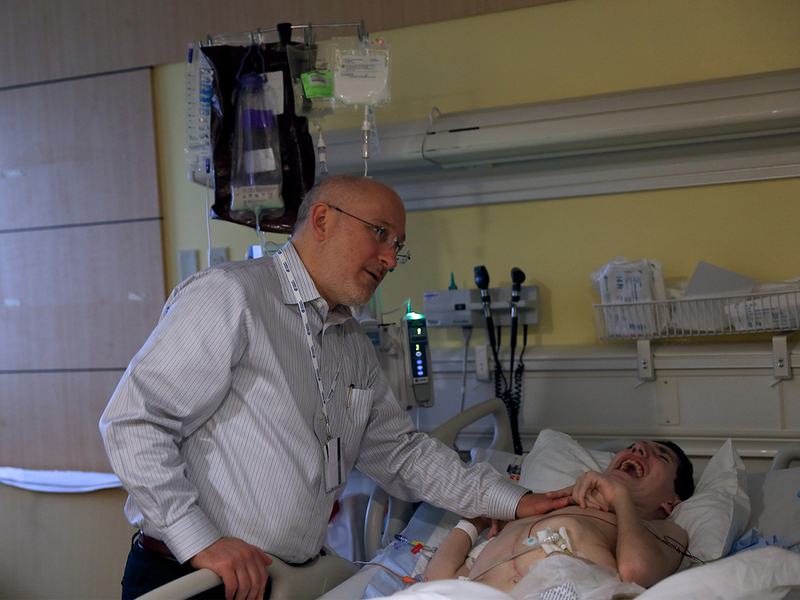 His parents, Scott and Alexia Kadish, said dealing with one medical crisis after another made it more difficult for Ethan to recover and regain more of the life he used to lead. Last spring was especially scary. Ethan shrieked in such pain that his mom described his screams “as if someone was taking sharp nails inside his body and just scraping from the inside out.” He was hospitalized four times in just six weeks. That’s when Ethan’s parents decided that instead of working so hard to help their son get back to the boy he once was, they would focus on making him comfortable as the person he has become. Ethan seems happy far more often than not these days. 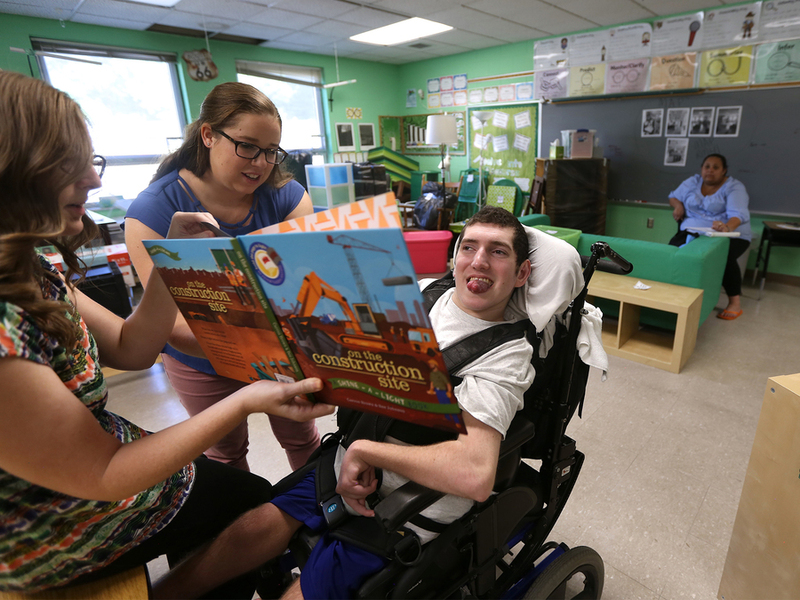 It has been 13 months since his last hospital stay, and he attended classes and therapy sessions all school year at Bobbie B. Fairfax School in Madisonville. He has been able to make important progress as a result, said Ann Heuker, an intervention specialist at Bobbie B. Fairfax and Ethan’s primary teacher. Chris Jordan did know Ethan before the lightning strike. She’s an instructional assistant at Bobbie B. Fairfax and lives near the Kadishes. Stephanie Johnstone works to make sure he stays that way. She’s the nurse who goes to school with Ethan and to his therapy appointments during the week. Johnstone’s cell phone is filled with photos and videos of Ethan. She jokes about taking him on “jail breaks” to her three sons’ wrestling matches and basketball and baseball games. She made Ethan a blackjack dealer costume for Halloween. He wore a bowler hat and flashy tie and had playing cards and foil-covered candy “chips” glued to green poster board that rested across the arms of his wheelchair. And Johnstone is the one who wheeled Ethan into Castle Skateland on that Wednesday afternoon after he was finished with summer classes at Loveland Elementary School. Ethan looked toward the kids zipping around in circles as Johnstone laced up her rented skates and smiled. She wheeled him to the edge of the rink and waited for a gap before pushing him into the action. With every loop around the rink, Johnstone pushed the wheelchair faster and Ethan smiled bigger. “That’s the fastest that he can go, if one of us puts skates on,” Johnston said after stepping off the rink to catch her breath and sip her iced tea. That’s true of most things with Ethan. He eats formula through a tube in his abdomen and can’t use the toilet. 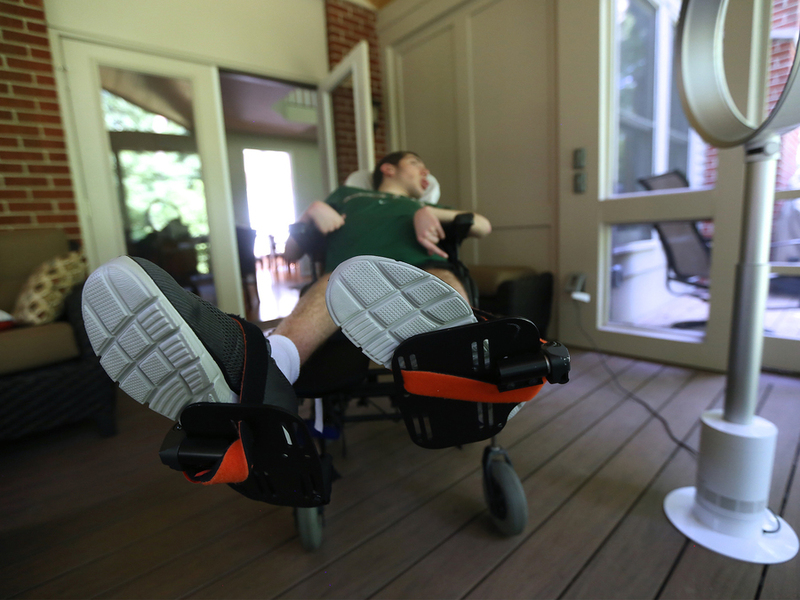 His parents and nurses operate a lift to get him from the hospital bed in his room to the wheelchair that has been customized to cradle his twisted, crooked back. And while Ethan’s parents, nurses and teachers find comfort in his happy squeals and guttural laugh, his sister said she does not. Ethan should have spent this past year as a senior at Loveland High School where Elyse was a freshman. He should have gone to homecoming and prom. He should have been playing sports and auditioning for school plays and show choir. “I thought a lot about the things he should be doing," Elyse said. "And it made me feel kind of guilty for having the opportunity to do them." Ethan’s parents struggled this past school year, too. They wanted so much to celebrate the accomplishments of the young people who were close friends of Ethan’s before his injury. So many of those teens and their families have supported the Kadishes in countless ways over the past five years. They have been the core of a group called Team Ethan that has stood by the family since the beginning. But every photo from a dance, every Facebook post about a school play or a college acceptance letter, every invitation to a graduation party brought pain. “Part of the piece of what stings so bad is that this is supposed to be Ethan’s milestone as well as his friends,” Alexia Kadish said. What they probably didn’t realize was how much Ethan’s friends have felt his absence, too. Emma Balk said she thought about Ethan a lot during her senior year. He was one of the people she pictured in the audience every time she went on stage, she said, and Ethan’s was one of the names she recited in her head before each performance. Emma and Ethan became friends at Rockwern Academy , the Jewish day school that was called Yavneh Day School when they went there as kids. Her first distinct memory of Ethan was when she and his sister, Elyse, were in the same after-school jump rope club. He was the kind of friend who encouraged everyone and made sure they felt included, she said. 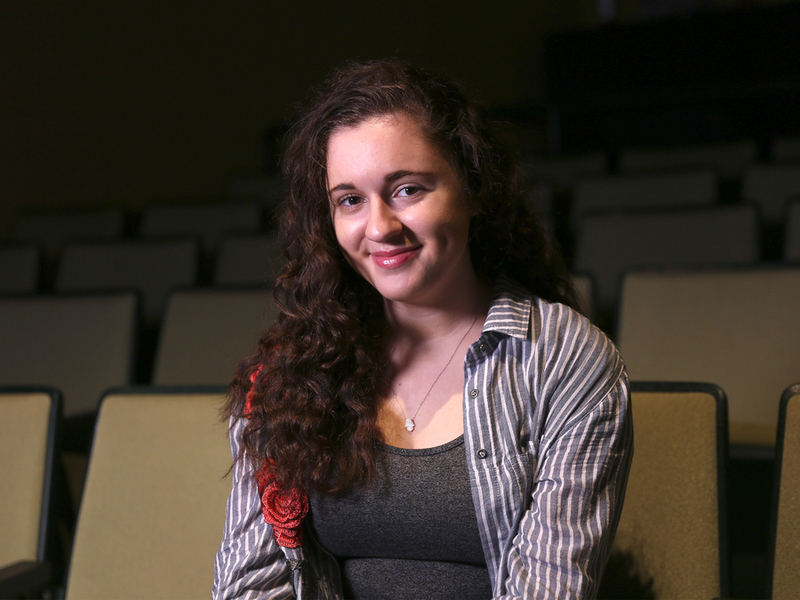 She and Ethan shared a love of theater and even saw the musical “Les Miserables” together. Emma was at a summer camp in Wisconsin when she heard that Ethan got hurt. She made him a crossword puzzle to do in the hospital during his recovery, never imagining how serious his injury was. It has been difficult for Zack Berger, too. He can’t remember if he met Ethan in kindergarten or first grade, but it feels like they have been friends forever. Zack remembers Ethan’s kindness and laughter and love of roller coasters. They were part of group of boys that spent lots of time at Kings Island together once they were old enough to be there by themselves. “I don’t remember there ever being a dull moment with him,” he said. Zack’s senior year at Sycamore High School was filled with Advanced Placement classes and school activities. 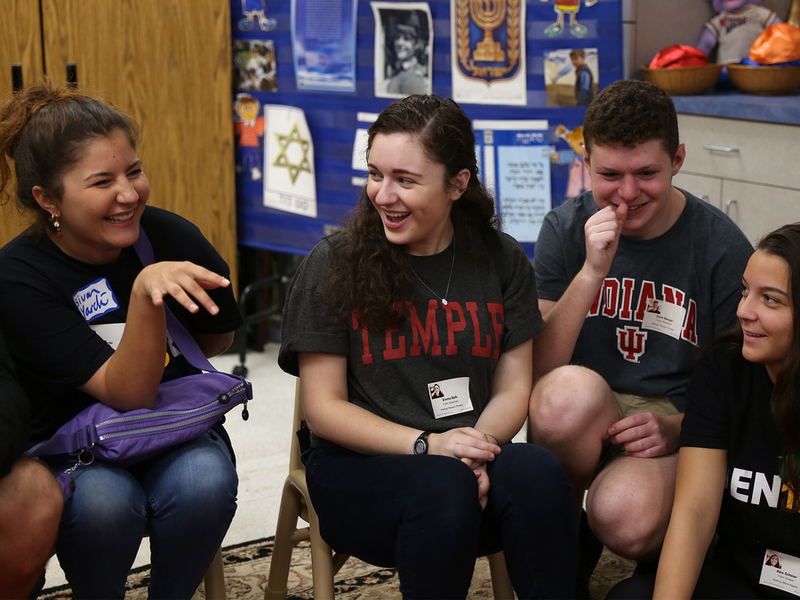 A highlight was traveling to Poland and Israel to take part in March of the Living, a trip for Jewish high school seniors funded by The Jewish Foundation of Cincinnati. The part of the year he disliked most was talking about college. Zack will be going to Indiana University to study film, he said, and he’s excited about that. But there was something about having to answer the college question over and over. That’s the thing with Ethan’s story. Even five years in, there is so much sadness. It’s a form of grief for everyone who knew Ethan before June 29, 2013. They grieve for the things he could have done, the fun he could have had and the boy he could have been. For Ethan’s family, those feelings fill their hearts at the same time they focus on loving the Ethan they have and worrying about what the future holds. So much uncertainty remains. Will the Kadishes continue to be able to afford the nursing care that gives Ethan the life he has now? What will happen after Ethan turns 21 and can no longer attend Bobbie B. Fairfax School? Last winter, the Kadishes completed an enclosed deck on the back of their home. It has lights and heaters and electrical outlets for the fan that keeps Ethan cool during warmer months. The deck has expanded Ethan’s world. He spends hours there in his wheelchair. Johnstone plays audio books for him. Cincy, the family dog, walks around his wheelchair with her collar jangling. Finches chirp as they eat seed from the feeder right outside. 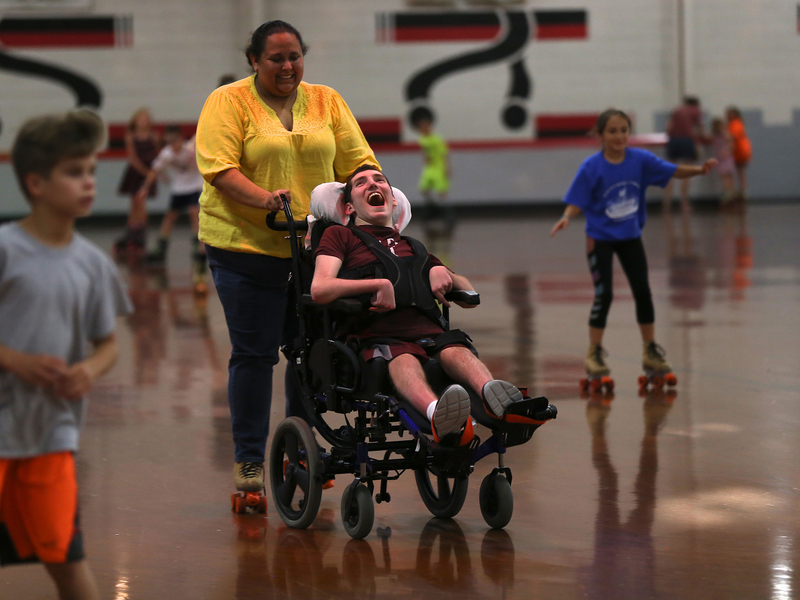 During a moment of quiet nearly five years ago, shortly after Ethan’s injury, Alexia Kadish said she and her husband made a promise. 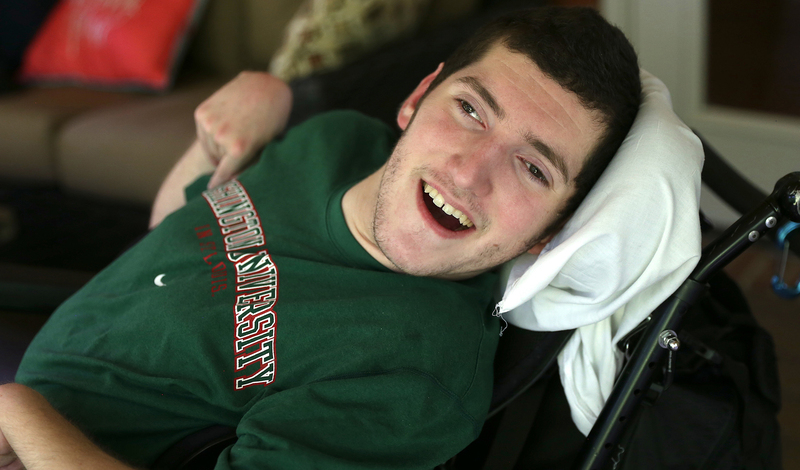 In some ways, Ethan’s story is everyone’s story. All new parents look at their babies with hopes and dreams for happiness, health and prosperity. And as they grow, just about all kids’ lives take twists and turns their parents could never predict. Even for people who don't have children, how many can say that life has gone exactly the way they expected? Scott Kadish put it this way: "I truly believe that everyone has got something complicated that isn't perfect in their life." That belief, he said, has made him strive to be more compassionate. 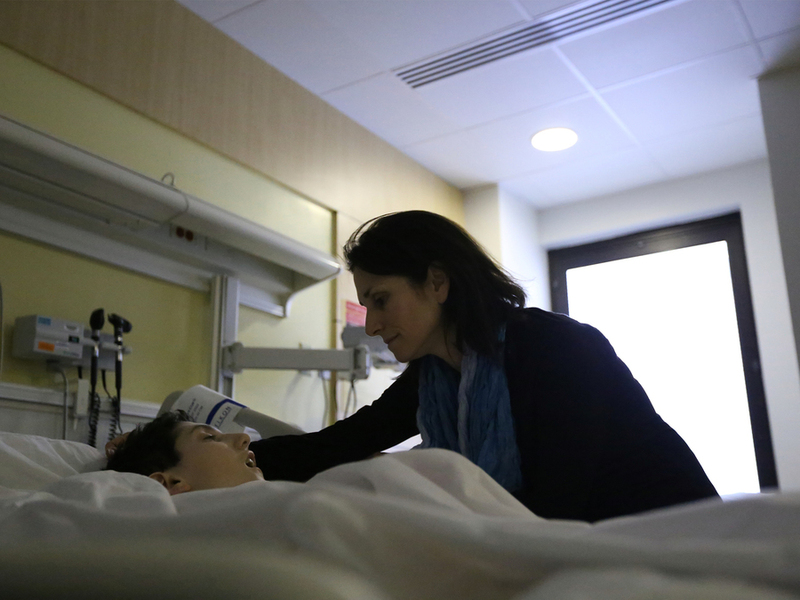 A few months after Ethan’s injury, I asked Alexia Kadish what she wanted for his future. She said she wanted Ethan to be able to experience joy. I reminded her of that answer a few weeks ago, and she smiled a sad smile. But it’s the joy Ethan has now, she said, and she feels grateful for it. To help fund the hundreds of thousands of dollars of ongoing medical care for Ethan that isn’t covered by insurance, go to http://www.jointeamethan.org . This is their eighth installment. To read their earlier stories, go to wcpo.com/ethan .